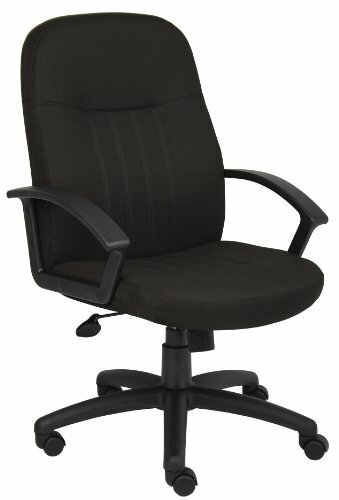 The ideal choice for any user who requires an ergonomic design with built-in lumbar support, the Boss Mid Back Fabric Managers Chair In Black is classic in its appearance. This typical office chair measures 27" W x 27" D x 40.5-44" H and gives users the option to adjust the height with a pneumatic seat lever. The tilt-tension control allows for managing weight distribution, and the upright locking position keeps the seat from rocking too far back. This chair even includes a set of hooded double-wheel casters for a smooth ride. The chair comes in two different colors and matches best with model B8309.